By	Jon Negroni 33 Comments on The Krabs Theory: Who’s Really the Mother of Pearl? I’ve been a fan of “Spongebob” since the first episode premiered after the Kid’s Choice Awards in 1999. I was just a brat at the time, and I certainly wasn’t old enough to be a fan conspirer. 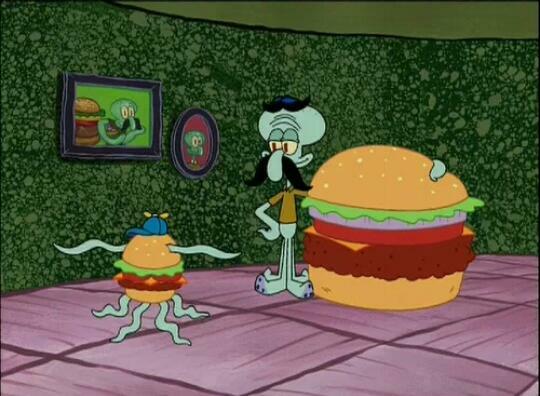 But even in those early days of the sponge, I knew something was up with Mr. Krabs and his daughter, Pearl. We all knew there was something the show’s writers were keeping from us. Besides his entire license of course. No, I’m talking about something else entirely. A crab being the father of a whale? I know Spongebob isn’t known for being scientifically responsible, but even that is just too much silliness for a franchise. Fans like me have always had our own conclusions about the whole “Pearl” thing. Some say she’s simply adopted, while others accept the nonsense that Mr. Krabs actually had a wife who gave birth to a whale. But I think the truth behind Pearl’s legacy has already been subtlety explained to us over the course of the show. There are a lot of hints and clues, and I’m confident we can get to the bottom of this. It’s about to get real, guys. 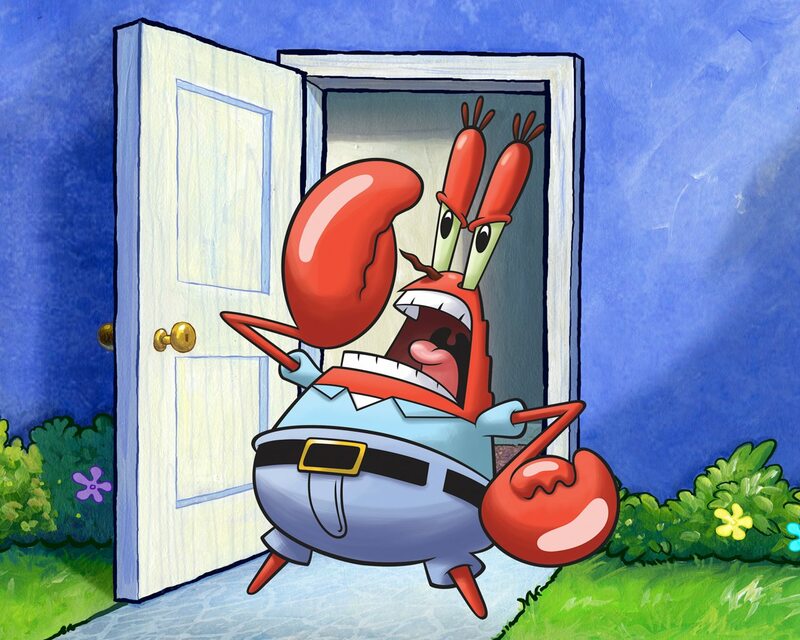 Before we go further, let’s set the record straight on who Mr. Krabs is. The best way to characterize him is to explain his obsession with money. We all know he’s frankly a greedy guy. One thing I’ve always picked up on about Krabs’s role in the Spongebob universe is the strangeness behind his occupation. He’s never shown himself to be a lover of food, but he chooses to own and operate a fast food restaurant. Not a franchise. Just one, single restaurant. That’s all well and common, but have you wondered why a guy with so much money (and lust for money) would choose food service as his principal moneymaker? The secret is actually (somewhat) explained in the trailer for The Spongebob Squarepants Movie: Sponge out of Water, which is due to release in just a couple of weeks. In the trailer, the secret Krabby Patty formula is stolen by a human pirate from the surface, who is thankfully played by Antonio Banderas. When this happens, Mr. Krabs explains that without the formula (and Krabby Patties), the citizens of Bikini Bottom will descend into apocalyptic chaos. We see this happen instantaneously in hilarious fashion, but it had me wondering why these fish are so obsessed with Krabby Patties. Then it hit me. Something about Krabby Patties makes fish crave and desire it more than anything. We’ve seen this play out dozens of times on the show. Even Squidward, the sea’s biggest hipster, became an addict of these things with just a morsel of a bite. There’s evidence of this even in the very beginning of the show. The anchovies from the pilot episode resort to violence when no one is able to make them Krabby Patties. Mr. Krabs doesn’t even want to hire Spongebob at first because whoever he brings on has to protect the formula at all costs. This must be because the formula does something to make people absolutely need it. The only other explanation, which isn’t as likely, is that the formula is nothing special. Just a ruse to make people believe Krabby Patties are special. Either way, Mr. Krabs purposefully created the formula to create a restaurant that people have to visit every day for fear of losing their minds. Seems like the perfect plan, right? It’s definitely classic Krabs. And the trailer for the movie hints that the formula comes from a magic book that lets you “rewrite history.” Krabs could’ve developed the formula to give him an addicting burger recipe. So yeah. Classic, greedy Krabs. 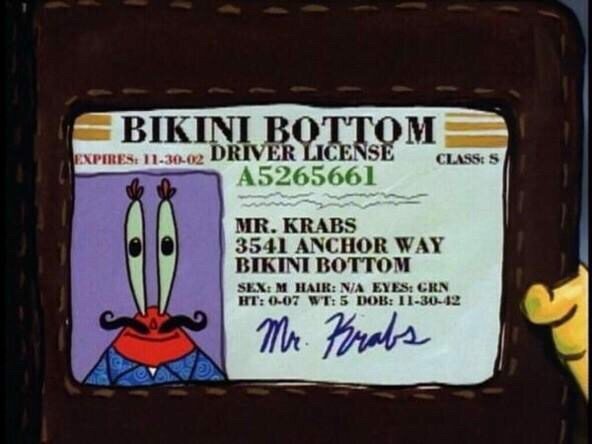 Still, one thing doesn’t add up if you’re claiming that Eugene Krabs only cares about money. There’s one thing that seems to transcend this greed, and that’s love. When Mr. Krabs falls for Mrs. Puff, he spends money recklessly to impress her. I remember watching this episode and realizing I had never seen Eugene so infatuated with something other than cash (or the making of it). Even when it comes to Pearl. Do we really think Krabs would pay and sacrifice to raise a child out of his own volition? Now, let’s think logically, here. If Mr. Krabs adopted Pearl, then he would be taking on an expense. Unless he loved Pearl already (for some reason), this doesn’t make sense within what we know about this guy—er—crab. I don’t think that’s the full story. I think that’s what Mr. Krabs tells Pearl (and by default, everyone else). But I don’t think he was ever actually married. After all, marrying someone would require sharing your money with someone forever, and we’ve already seen that Krabs is incapable of that (hence his relationship with Mrs. Puff never going anywhere). Now THIS is a theory I can get behind. Because it actually fits within the context of Eugene Krabs as a character. You know why? 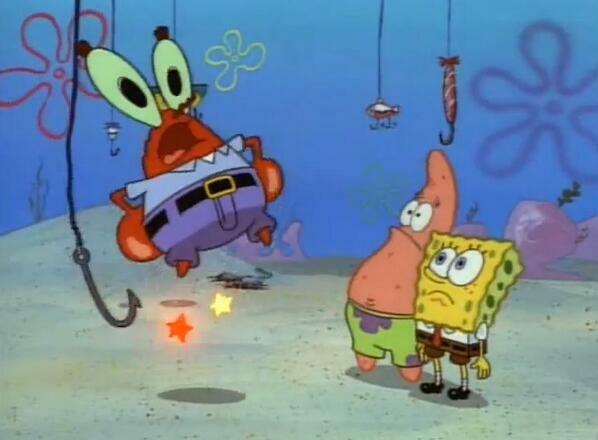 Another thing we know plainly about Krabs is that he’s terrified of hooks. When Spongebob and Patrick play with fishing hooks, he becomes obsessed with stopping them. This is because he knows all too well the dangers of the surface. This even explains why Krabs wants to be a cyborg-looking thing in Spongebob: Sponge Out of Water. This is the sort of power that makes him feel powerful on the surface because he’s impervious to hooks and other human dangers. Remember how sensitive he was when he lost his shell in the episode with his Navy buddies? Why else do you think he wants a metal shell for a superpower? And I think part of that fear and respect for hooks comes from a soft spot you wouldn’t expect: saving his adopted daughter from the perils of the surface. That’s why he takes her in, even though it would mean he has to make financial sacrifices for her. He couldn’t save her mother, but he’ll do whatever he can to save this young whale. After all, why do you think he named her Pearl? Because it’s an homage to the saying, Mother of Pearl. The very saying he said during that episode with the hooks. Another thing to consider is: where do pearls come from? From clams, of course. And what is the sign for the Krusty Krab? A clamshell. Mr. Krabs cherishes “pearls” because they’re worth a lot of money, but to him, his daughter Pearl is priceless. There’s even an episode where Mr. Krabs celebrates his millionth dollar by going to hunt clams for their pearls. Clearly, the sign for the Krusty Krab is the equivalent of a trophy head on his wall. Mr. Krabs is a complicated guy, to be certain. He’s not perfect, and his greed for money is the source of a LOT of problems Bikini Bottom has faced over the years. But you have to admit that the one thing he truly loves is what makes him a redeemable character. Pearl, and the mother of Pearl. That just leaves me with one last question, then. Are you feeling it now, Spongebob fans? Previous Previous post: What Happened to Johnny Depp? Next Next post: Being the First Fan In The World To See The ‘Fantastic Four’ Teaser. 33 replies to The Krabs Theory: Who’s Really the Mother of Pearl? Very interesting and interesting game sharing. 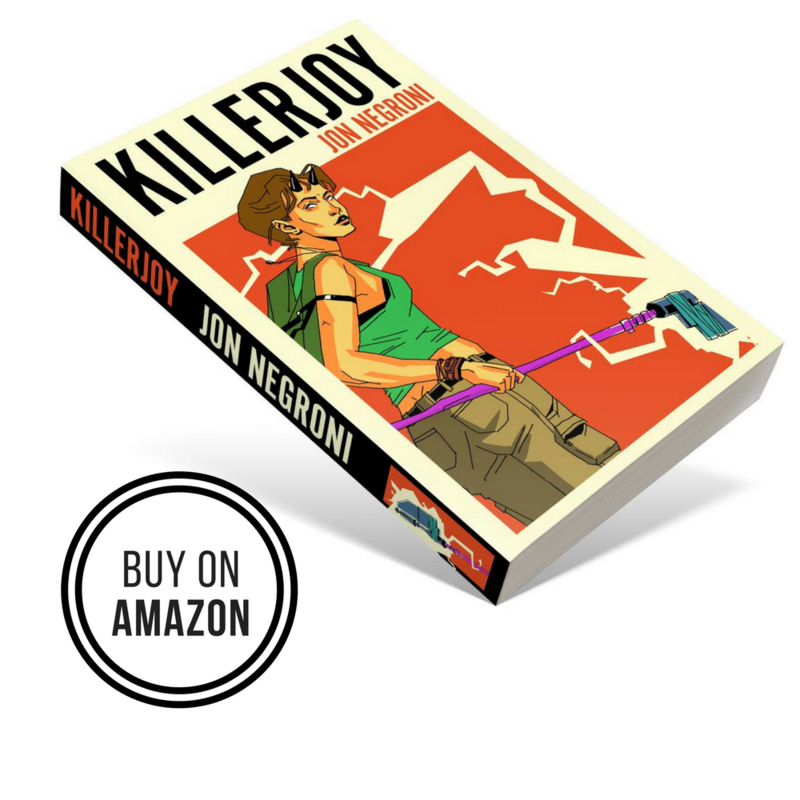 I enjoyed this game.